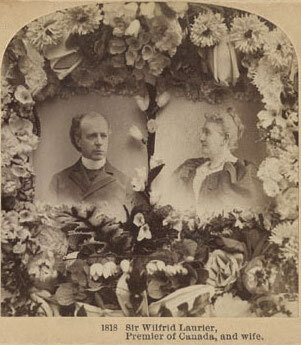 The great Wilfrid Laurier died one hundred years ago today. Our seventh prime minister, he held the office for more than fifteen consecutive years. Laurier led his party for over three decades, and served in the House of Commons for 44 years, 10 months and 17 days until February 17, 1919 brought all that to an end. 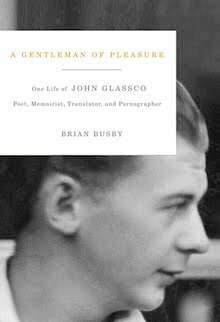 At age seventy-seven, his death shouldn't have come as a shock, but contemporary press suggests otherwise. Tribute was paid by George V, but my favourite comes from a commoner who remembered the widow Laurier. 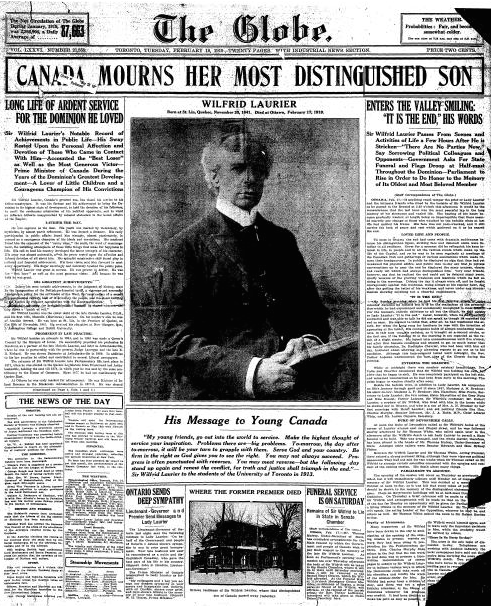 It was published in Right Honourable Sir Wilfrid Laurier: A Tribute (Ottawa: Modern Press, 1919). Round which men rallied in old times of storm. The noble life, the silver of his hair? He onward bore unto his purposed goal. With her he loved through shadowed hours and gay. Seemed rose hung, and the years a lightsome load. Speaking the language of wide brotherhood. The inspiration of his service yet. And may we build as nobly as he wrought. His spirit watching, we new pledges make. Great Heart, adieu—bowed at thy bier we stand. To save thee grief, we'd bear it, everyone. There's irony for you. Or is it? Alanis Morissette has still got me confused. From her resting place in the broom closet Consuela could hear the two American ladies in 404 arguing. The closet was as narrow as the road to heaven and smelled of furniture polish, chlorine, and of Consuela herself. But it was not physical discomfort that disturbed her siesta, it was the strain of trying to understand what the Americans were arguing about. Money? Love? What else was there, Consuela wondered, and wiped the sweat off her forehead and neck with one of the towels she was supposed to place in the bathrooms at exactly six o'clock. From the broom closet, Consuela could hear the two American ladies arguing in Room 404. The closet was small and smelled of furniture polish and cleaning fluid, and of Consuela's own body. But it was not the tiny closet and its smells that disturbed her siesta – her afternoon nap. 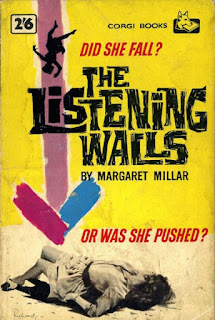 It was the argument she was hearing through the wall. 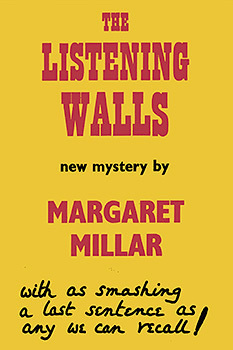 She strained to hear what the Americans were arguing about. Was it money? Was it love? What else could it be? Console wondered about it and wiped the sweat off her forehead and neck with one of the clean towels she was supposed to put in the bathrooms. Consuela's siesta (not necessarily an "afternoon nap," says my OED) is not the sound of the two American ladies arguing, but that she can't quite make out what they are saying. 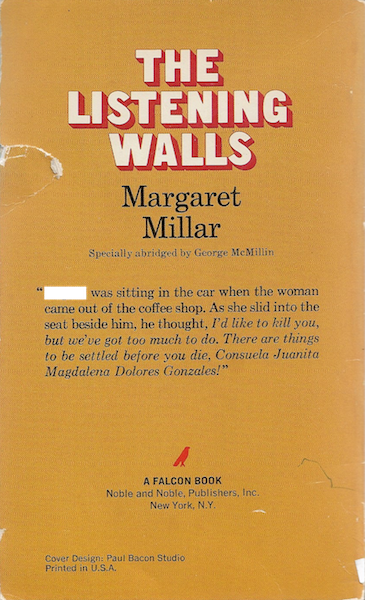 Gone is the description of the closet, Consuela's "resting place," as being "as narrow as the road to heaven," and with it the first hint of her religious beliefs and their influence on the plot. The two American ladies are friends Wilma Wyatt and Amy Kellogg. The pair have travelled from San Francisco to Mexico City on a girls' getaway. Poor Wilma has been having a particularly tough year that has included divorce (her second), the loss of both parents in a plane crash, and a bout of pneumonia. It's now September. Can it get much worse? Wilma is unhappy with everything – herself most of all – and is itching to bicker and bully. Amy tries to make the best of it, all the while reminding herself that husband Rupert had warned the trip was a mistake. Gill, Amy's big brother, called her an imbecile. Things deteriorate further when Amy discovers that Wilma bought a handcrafted silver box engraved with Rupert's initials. Why would Wilma do that? And why would she hide the purchase? The fighting escalates and Wilma storms off to the hotel bar. That evening, Wilma dies of a fall from their hotel room balcony. 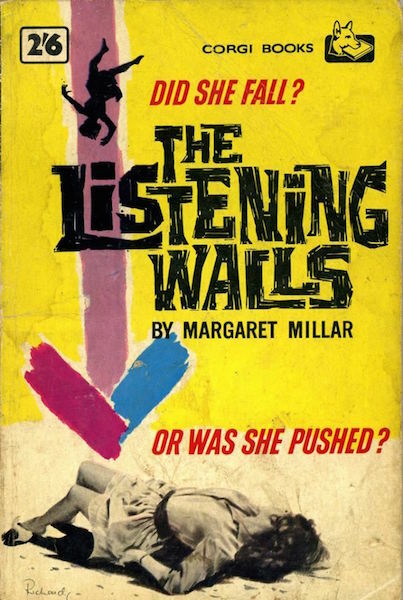 The Listening Walls has less to do with Wilma's death, and whether or not it was murder, than it does the mystery of Amy's subsequent disappearance. Rupert gives Gill a letter from Amy in which she writes of her need to be alone for a while. 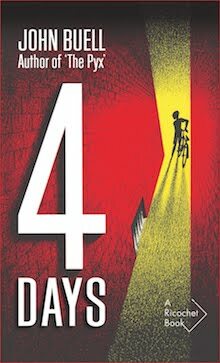 Gill, who had already found things were "damned peculiar," hires a private detective, and Rupert starts making mistakes. I've hidden the first character's name because it misleads. The character is not a murderer and would never think to murder. The passage is just another example of McMillin's misunderstanding of the novel. Sort of spoils things, doesn't it? 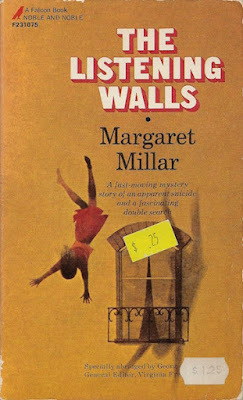 Miss Millar knows how to make her story-line twist like a snake. 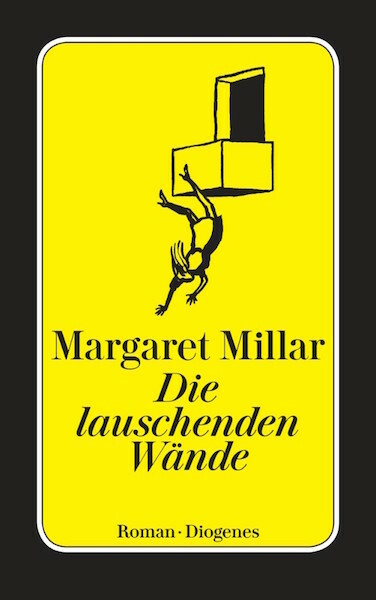 It is not her fault that the publishers, in big letters on the jacket, promise "as smashing a last sentence as we can recall!" That promise is not fulfilled. The final twist is surprisingly unsurprising. 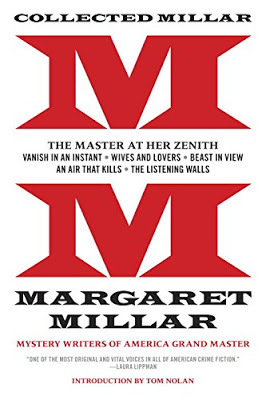 More recently, Jon Breen wrote in the 18 April 2005 Weekly Standard: "Millar brings off a trick that is rarely attempted and even more rarely accomplished: withholding the final surprise to the very last line of the novel." Foreknowledge that the final line brings surprise ruins the ending... and I've done so here. Apologies. 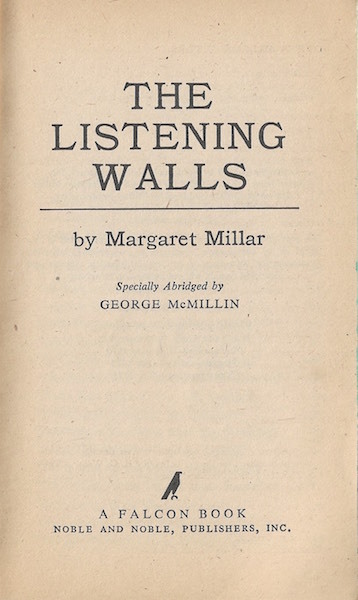 George McMillin liked the last sentence enough to leave it untouched. At four words, it could hardly be shorter. 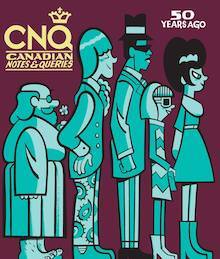 Trivia: For a "textbook" publisher – their description, not mine – Falcon proved itself particularly inept. 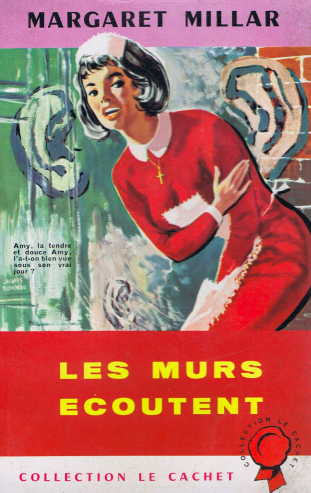 The author biography is incorrect in describing Millar's It's All in the Family as a mystery. 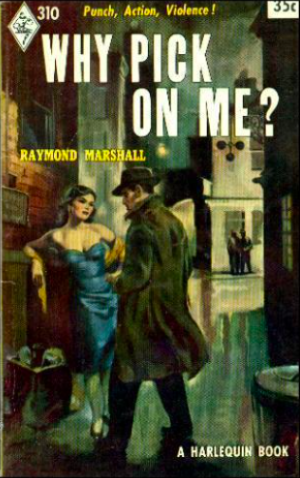 Students are told that her husband is "known professionally as Ross MacDonald," and not Ross Macdonald. Objects: A study in contrasts. 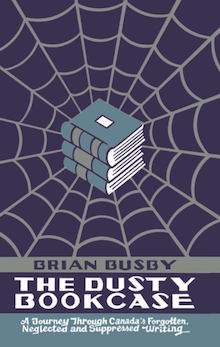 The Falcon is a slim mass-market paperback numbering 141 pages; the Syndicate is a bulky trade format paperback of 560 pages. 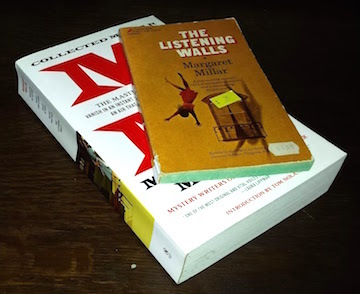 The latter includes an introduction by Ross Macdonald biographer Tom Nolan. 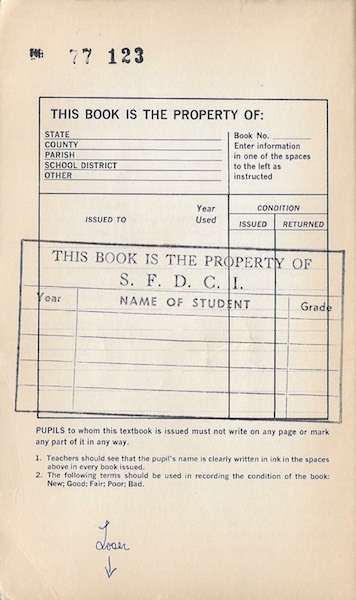 My Falcon copy was once the property of the Smiths Falls District Collegiate Institute. 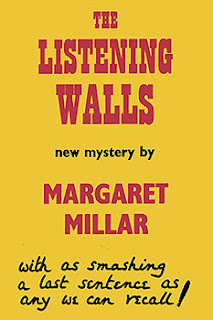 Access: The Listening Walls was first published in 1959 by Random House in the United States and Gollacz in the United Kingdom. 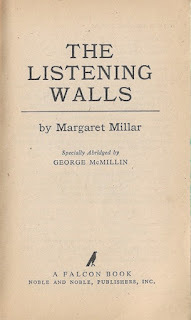 Editions by Corgi (1961), Dell (1964 & 1967), Orion (1974), and International Polygonics (1986) followed. 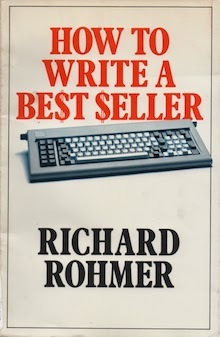 In 1980, Curley published a large print edition. Used copies listed online range in price from US$1.60 (International Polygonics) to US$349.26 (Curley). 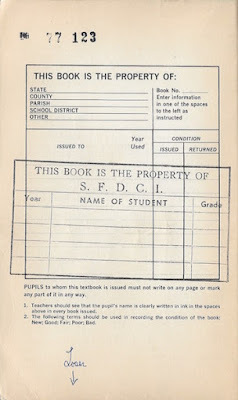 At US$50.00, the copy to buy is a Random House first edition (with review slip) offered by a Florida bookseller. 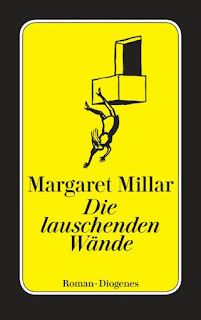 The novel has enjoyed at least eleven translations: French (Les Murs écoutent), Spanish (Las paredes oyen), Danish (De lyttende vægge), Finnish (Seinillä on korvat), Swedish (De lyssnande väggarna), Norwegian (Piken som lyttet), German (Die lauschenden Wände), Italian (La scatola d'argento), Polish (Śmierć w hotelu), Japanese (耳をすます壁), and Korean (엿듣는 벽).